TDJC IS A 501(c) 3 non-profit organization located in the Iowa City /Coralville area. We are a volunteer therapy dog group, certified through PET PARTNERS. As members of this parent organization, all of our teams are screened, trained, registered and insured through PET PARTNERS. Our teams participate in animal-assisted therapy (AAT) or animal-assisted activities (AAA). Our teams have completed health requirements, temperament training and volunteer training. TDJC therapy dogs make regular visits to schools, hospitals, care centers, hospice settings, mental health facilities, youth shelters, Kirkwood College, the University of Iowa (various colleges) Woman’s Resource Center, Iowa City, Coralville and North Liberty Libraries, the University of Iowa Library, UI Paws Program, The U of I Student Government visits, and other facilities, who request animal-assisted therapy. 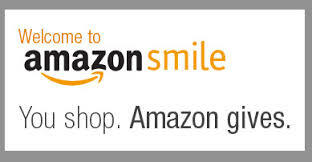 Generate donations for our club by placing orders at smile.amazon.com. Select us as your current charity.